Welcome to Master Hand Violin Shop, Wheaton's String Store since 1976! Welcome to Master Hand Violin Shop! ATTENTION! Master Hand Violin Shop IS NOW OPEN at our new location -- 546 S Main St., Broadway, VA 22815! 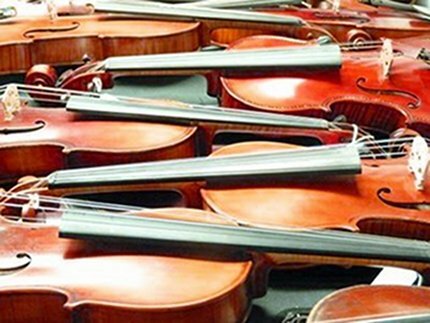 Founded by Elizabeth Ecklund, Master Hand Violin Shop has been meeting the needs of string instrument players since 1976! With an inventory of over 1000 instruments that range from antique collectors items to modern instruments, we can help you select the perfect instrument. We also have the highest quality rental instruments in Harrisonburg. And as the only string store in Broadway that sells, rents, and repairs violins, violas, cellos and basses, we can take care of all your string needs. Please make an appointment to drop by! **We own and operate A Plus Violins, an online store where you can browse and purchase many of our instruments.